Thailand U19 won the toss and invited Nepal U19 to have batted first. 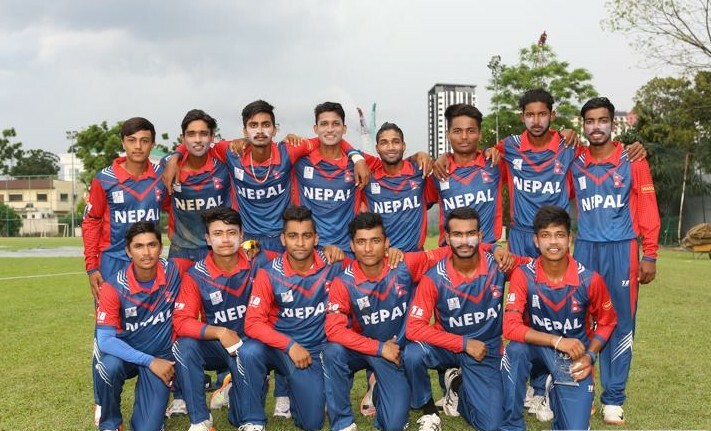 Nepal U19 started off well with decent Run Rate of 4.25 till 8th over of a match. Thailand’s U19 Opening Bowler Kamron Senamontree Provided the first breakthrough for Thailand U19 as he sent Nepal’s U19 Opening Batsman Aarif Sheikh to the pavilion on the very first delivery of 8th over.But after that Thailand U19 take 10 more overs for another wicket as Nepal U19 kept on building a partnership. The partnership of 60 runs between S Sunar and A Shah took Nepal U19 to 94-2 in 18th over. As a result of that partnership of 52 runs for the 3rd wicket, 34 runs for the 4th wicket, 48 runs for the 5th wicket and importantly backfire at the end of 22* from Pawan Sarraf took Nepal to 281-7 in respective 50 overs of play. Along the fairy way, Anil Shah scored 91(74) and Pranit Thapa scored 50(61). Payuthan Sunghard (10-0-61-3) was the most successful bowler for Thailand U19 in this innings. There was nothing more to say about 2nd innings as it only lasted for 40 minutes long. 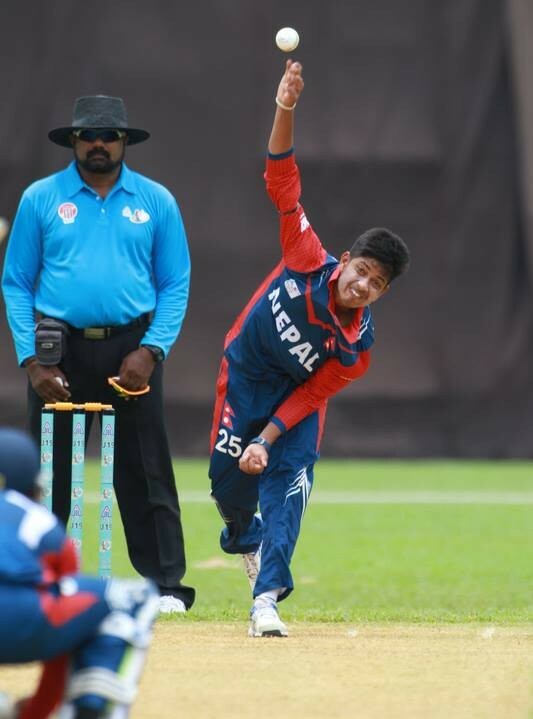 Nepal’s most productive finds, The Magical Leg Spinner S Lamichhane totally broke the backbone of Thailand U19 inning as he grabs 7 wickets in just 4 over of his bowling spell costing on 6 runs. Nandan Yadav, Dipendra Airee, Kishor Mahato also picked up one wicket each for Nepal U19. Panasak Daenmalidai was the highest scorer for Thailand with a score of 8(11) which is enough to define Thailand U19 innings as they got all out for just 26 runs. The only Positive outcome for Thailand U19 in yesterday’s game was winning Toss. Nepal is at the top of Group “A” with this incredible win where as Singapore U19 is in the 2nd slot by registering a huge win over Bhutan U19. Bhutan U19 and Thailand U19 are on 3rd and 4th position respectively. Nepal U19 will play against Bhutan U19 on September 13 whereas Thailand U19 will face Singapore U19 in the same fixture. The winner of this tournament gets chance to play U19 Asian Cup Qualification on coming November in Malaysia.